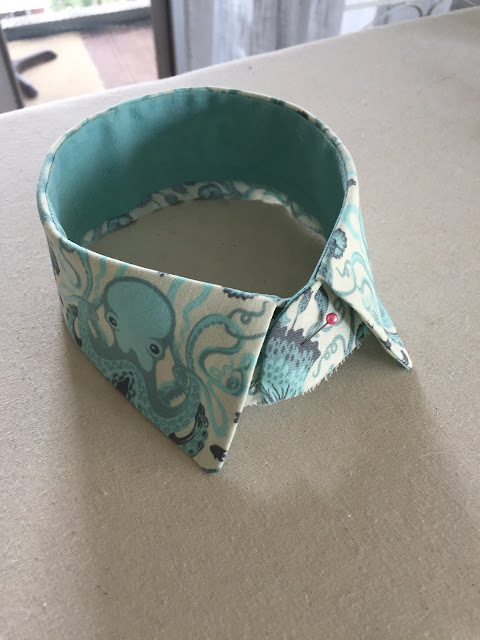 male pattern boldness: How Do You Like My Octopus (Fabric)? Well it's true. 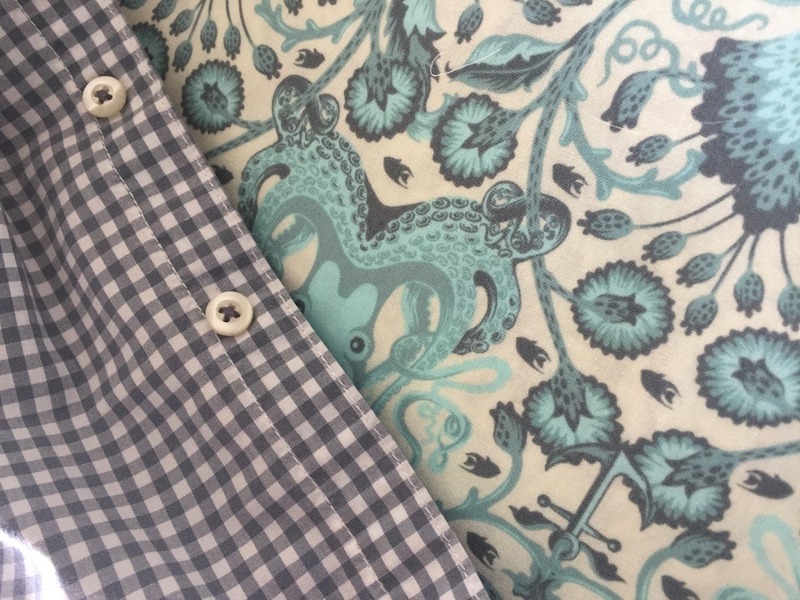 In fact, Michael chose the fabric himself (at Three Crafty Ladies on Sanibel Island, where we vacationed last week). 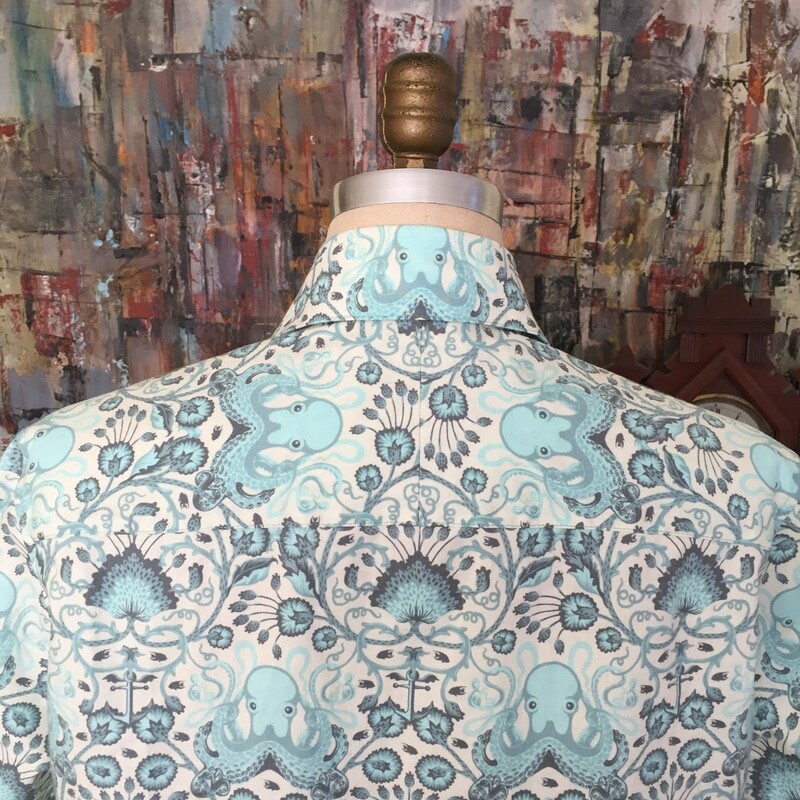 The designer is Tula Pink for FreeSpirit Fabrics. We both think it suits his coloring well. For this shirt, I used a vintage Seventies men's shirt pattern, Butterick 5579, in a Size 40. I made a few minor changes, the bigggest of which was removing the central back pleat: Michael doesn't need extra volume in back and the shirt looks trimmer without it. This project is coming together nicely. Naturally, with fabric this bold, the biggest challenge is matching the pattern. But having just had the practice from my mermaid-print shirt, this project is going much faster. I knew I wanted a contrasting inner collar and I found what I thought was the perfect gray gingham at the Salvation Army: an American Eagle long-sleeve shirt. 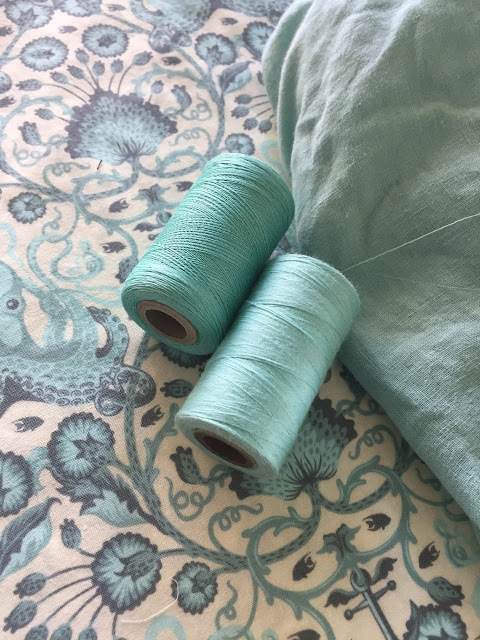 But I also had solid mint-green linen in my stash (an old bedsheet, also from the Salvation Army) that matched the green in the fabric perfectly. Should I cut up the shirt--which happened to fit me perfectly--just to make an inside collar stand, or go with the mint linen? In the end, I opted for the linen. I'm glad I did! I also happened to have matching mint-green thread on hand. The result is a very elegant collar. For buttons, I'm using real mother of pearl, which seems appropriate given the ocean-creature theme. They match the creamy background nicely. I hope to be able to post photos of Michael modeling the completed shirt soon. I know it's going to look nice on him. In the meantime, have a great day, everybody and happy sewing! I split the back yoke and cut the fabric on the cross grain just to keep things interesting. It's beautiful!! Let me be a copy cat, can I buy this fabric online? Of course! Search Google under "Tula Pink Octopus Garden." 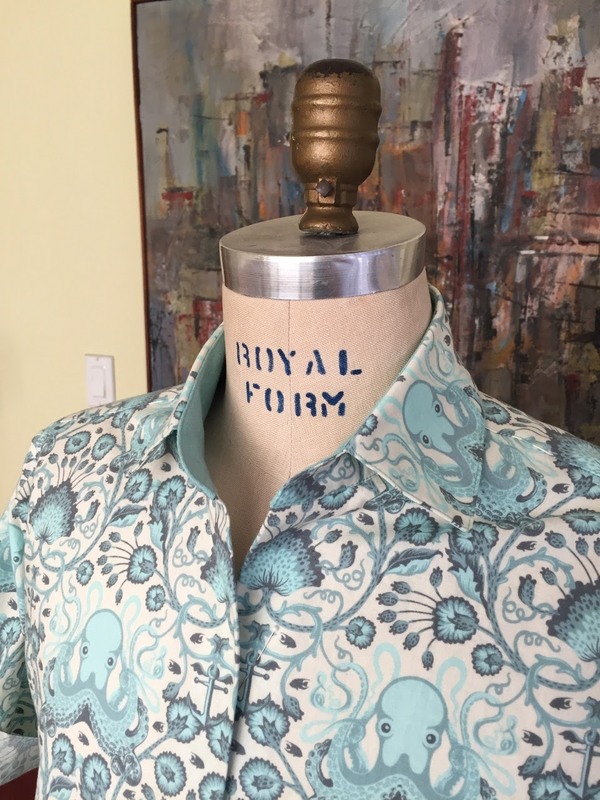 omg, i LOVE this fabric and the shirt. long story, but this summer i've been working on making a long coat as part of a costume. i have NEVER made a piece of clothing before, but since it's for a costume i felt i had a lot of leeway as far as the end product goes. what i actually did was start with a simple coat i liked that i found in a thrift store (but didn't like the fabric it was made out of), and i just took it apart and used the pieces as a pattern. i've learned a lot, let me tell you. one thing that was SUPER frustrating for me was the lapels -- it was VERY hard to get the fabric to round around the points on them. i'm sure there's some trick to it. anyway, as a costume, i hope it will all work out ok in the end. i'm still assembling things. you are so inspiring, peter! The start of a brilliant journey - you have thrown yourself in at the deep end! I hope you enjoy it. Who knew a shirt could be a thing of beauty? I have spent a long time admiring the stitching on your collar. Thank you for sharing. I love your projects. Love the octopus print and I'm going to be falling off the "fabric Fast" wagon yet again. But in my defense, I have sewn up enough of the stash to allow a judicious buy of a special fabric. Lovely shirt. Your beautiful handiwork on these shirts is a joy to behold (even via a computer monitor). The split yoke is the perfect touch--love this shirt! 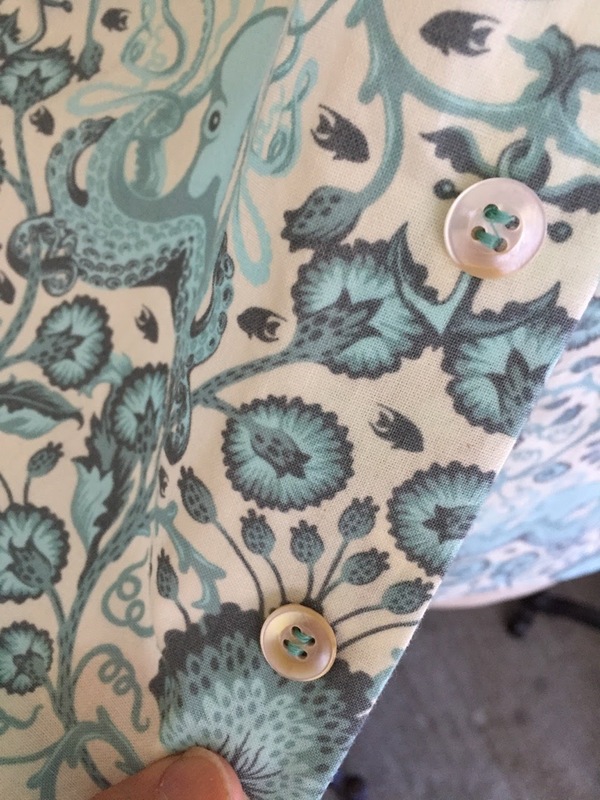 As "Octopus' Garden" repeats in my head, I am mesmerized by the eyes on the back of the collar. It draws me down to see a circle of squid seemingly gathered to eat the seaweed in the center? Or worship something. Not sure. LOVE the cut and use of the print. 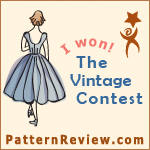 Your pattern placement is fabulous! Centering the octopus on the back of the colour is wonderful! Such attention to detail. The shirt is beautiful. Can't wait to see it on Michael. 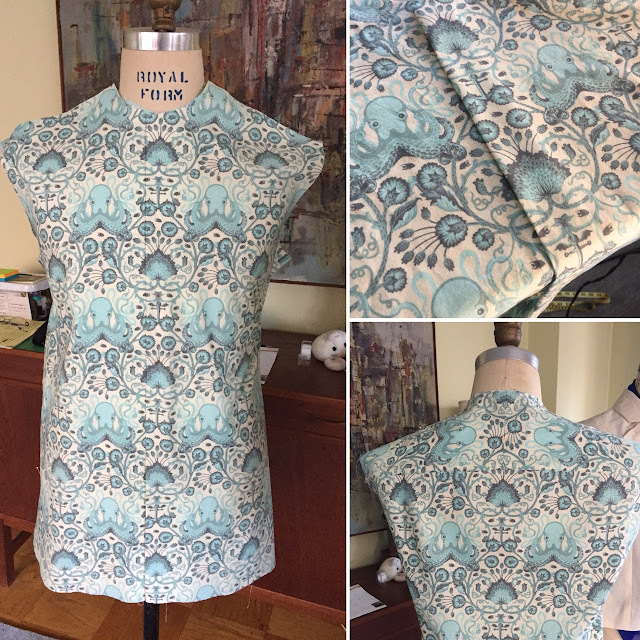 Your pattern placement is a work of art! And as always your sewing is Haute couture! 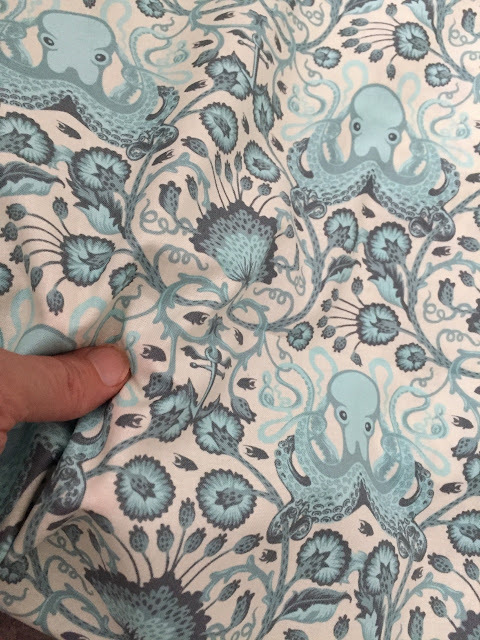 From a distance you can't see those darling octopi and the design resembles a Liberty fabric...so beautiful! Michael is on lucky fellow! Both shirts are awesome. So professional. I love your shirts!! Can I be a beggar for tips? 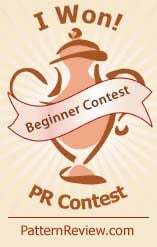 I'm pretty sure you might have already spoke about it, so feel free to direct me to any older post. How do you get such neat stitching on collars? In my inner undercollar more often than not has a few spots were you can see the stitching of the outer undercollar piece to the shirt, when it is secured only by the topstitching visible on the outside. 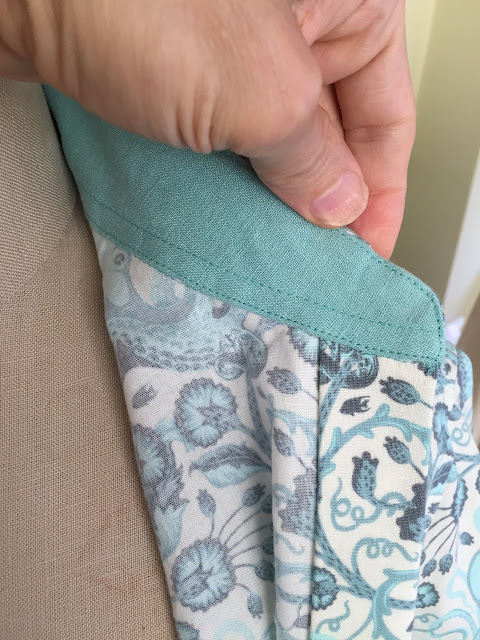 Do you baste in before sewing? Or do you do a stitch in the ditch to secure the edge of the under collar piece and then topstitch? What are those two mint lines on the bottom of the undercollar - topstitching on the outside and stitch in the ditch? Thank you for any help!! 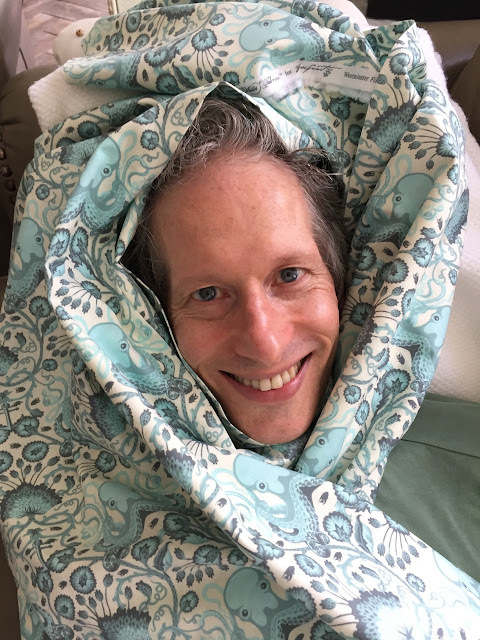 I think I scored a few yards of that same vintage linen, last year, in North Carolina! Mine was still on the bolt, and labeled in German. Don't know if it was German or Swiss. It's good stuff. From the evidence of the rest of the items on the thrift store shelf at the time, I think it was originally intended for curtains. You inspire! I learn so much from your posts. Thank you for the details and beautiful work!! That octopus collar is totally squee-worthy!